Having six boys between us (no girls, sadly! ), we often get asked where to find hip clothes them. While it is definitely true that girl’s have more to choose from – more style, more trends, more accessories, colors, shapes the whole bit – boys are still just as fun to shop for! But, we are forever loyal to those shops who take a special interest in cool threads for boys and make it easy for us to find. This is where Urban Baby Runway comes in! They have collected the best brands around, picked the coolest books and toys, and know what parents love! And, bonus! 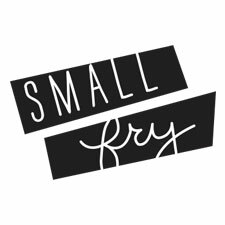 Free shipping for orders over $25 and they’re offering Small Fry readers 20% off for the month of February, just use discount code SF20! Here’s some of our favorite gear for girls! An interchangeable bow necklace // over-the-knee sock in all sorts of awesome prints // an Indie Rock Coloring Book filled with coloring pages of concert posters for bands like the Shins and Devendra Banhart // Darling tunic by Nununu // and a DIY Mobile kit that makes 20 awesome mobiles. On top of all of this they have a darling vintage shop and unbelievable handmade costumes. Basically what we’re saying is, run, don’t walk to Urban Baby Runway! Love both boots! Strange, or maybe not, my son likes to be naked all day, but loves his shoes. To convince him to put clothes on I have to let him pick out and hold his shoes. hahah this is SO my son! All these items are sooo adorable 🙂 I love that star top for girls. those desert boots are awesome!! Wonderful adorable clothes. For the first time I am here really wonderful. OMG i am in love with that Pre Fresh Rock n Roll tee!